The funds raised from our event are used to help local families that are facing financial hardship from medical bills due to a chronic illness or condition. With both physical and monetary support from the community, RFO helps ease the strain many of our beneficiaries encounter while they cope with their medical needs. Our event consists of a fundraising 5K Run/Walk, One Mile Loop, and Kid’s Fun Run. This has allowed for a family friendly event. We love to see both speedy runners and friends walking and talking! Often, parents participate in the 5k and then their kids race the mile. This year we’re opening up the Mile to adults as well. RFO has been a fantastic way to encourage both kids and adults to help others as well as promote a healthy lifestyle. 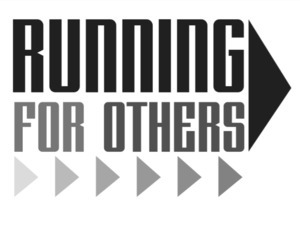 Monetary donations from the 2019 Wamego Match Day will be used to aid the beneficiaries of the 9th Annual Running for Others Event. Running for Others (RFO) was started in 2011 in response to a local family facing an unimaginable tragedy. The RFO committee consists of a few dedicated moms who enjoy helping out in their community through the Moms Of Oz organization. We choose to volunteer our time and efforts because we believe in helping our neighbors in need. This is one of the major service projects that Moms Of Oz uses to give back to the Wamego community. We are one of the largest 5K runs offered in Wamego with an average of 150-200 participants. People are drawn to our event because they see it as a way they can “do something” to help their family member, their friend, their neighbor, or even a stranger.